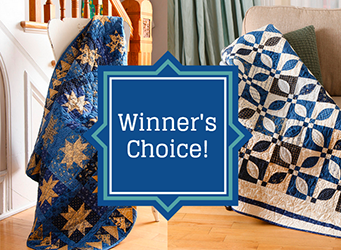 As for the Stash Bee, Sarah Nunes, who blogs over at Berry Barn Designs, asked for a red, low-volume white, and blue half square triangle block for this month's Stash Bee Hive #3 block. It's still in four pieces because she wants to scatter all the members blocks for more evenly dispersed scrappiness. You can check out the other blocks created for the Stash Bee on Flickr. 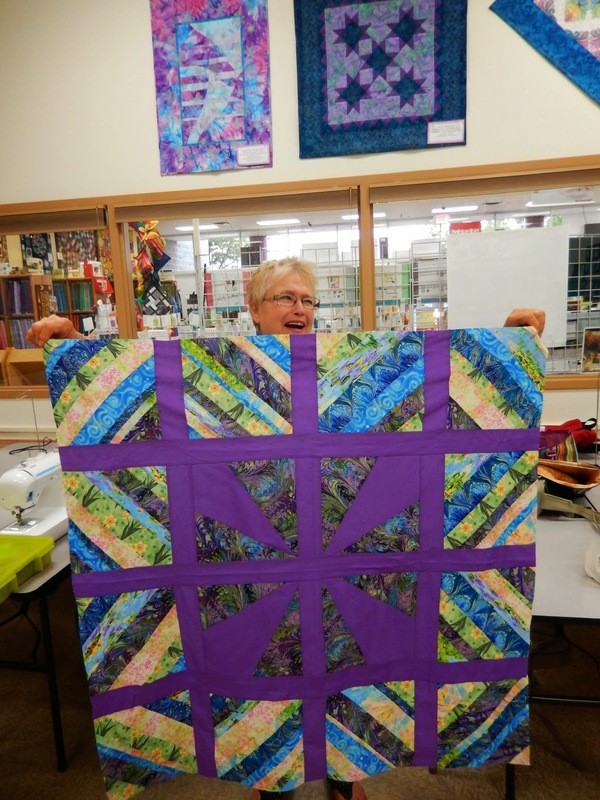 I have joined a new bee formed from participants in the New Quilt Blogger's Hop at Plum and June. 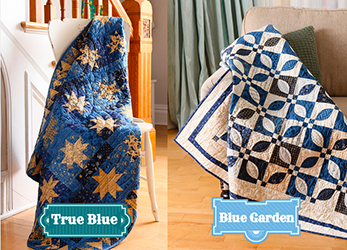 Lin March over at Lin's Quilts is our queen this month. 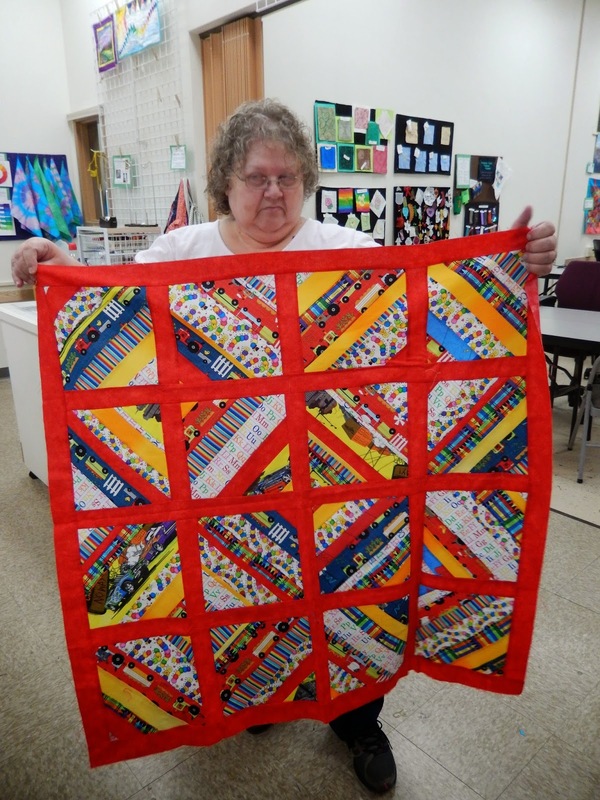 She requested 9" nine-patch blocks using white and brights. 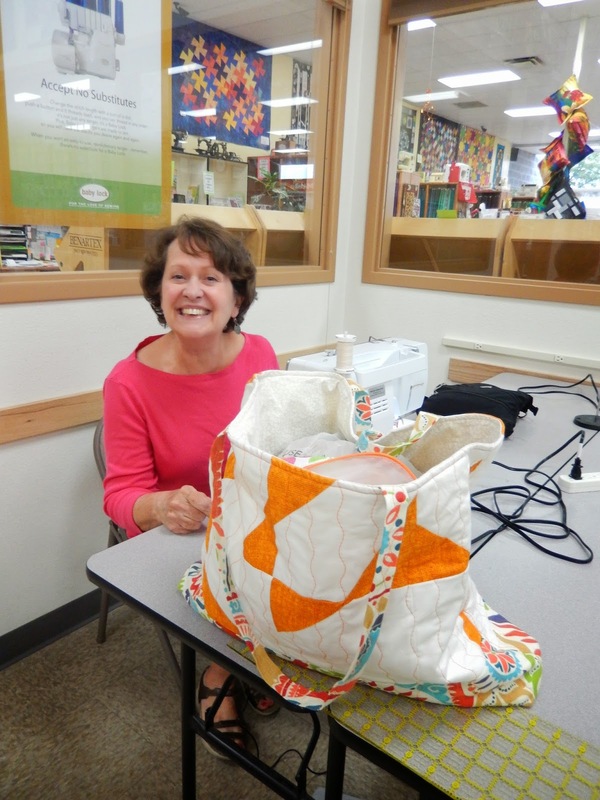 Cath Hall, author of Wombat Quilts, asked for Arkansas Traveler blocks for this month's Hope Circle of Do. Good Stitches block. Lee, over at Freshly Pieced, gave a free pattern for this block as part of her Summer Sampler Series, which has a Flickr group. I had been wanting to make this block for a while; it's so beautiful. Honestly, I think I've got that ambition fully out of my system. The instructions were clear, but the creation of these blocks requires many steps and a decent time investment. There are several opportunities within the process for things to go awry if you aren't careful. Many seams come together in the center of the block. I'm not certain of the best way to coerce this intersection to lay flat, but I suspect it involves a mallet and some extreme force. Cath's color choices were yellow, orange, and gold with a light gray, scrappy background. View more Hope Circle blocks on Flickr, if you so desire. I'm off to the post office. 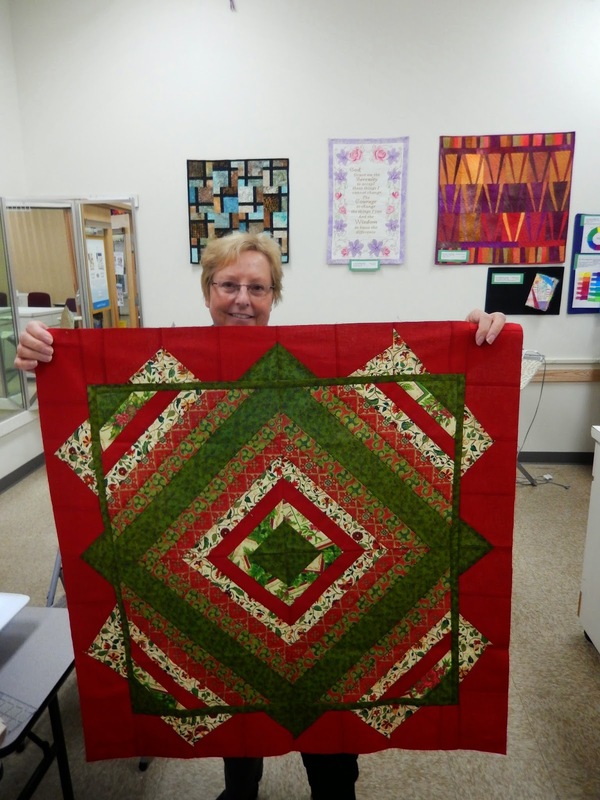 Update: Cath finished her quilt. Check it out!